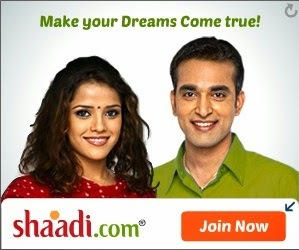 Shaadi.com has always had one Shalini who has been refusing to get married and get off the site. Either that or Shalini has been so successful using Shaadi.com that she comes back for more! Shalini, apart from being an Architect from Bangalore, is also secretly the actress Piaa Bajpai, not from Bangalore. We wonder what her Shaadi.com ad contract was like. "I herewith sign and state that Shaadi.com can use my photo till Justin Bieber decides to fling himself off his window". Ah.. Our search for the said idiot is complete. So tell us dear anonymous, why such brainless advertisement drive?